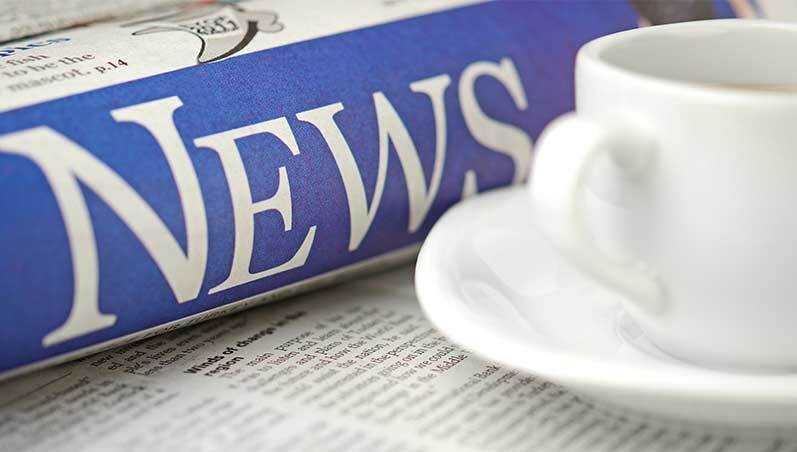 Catch up with the latest news about Star Cruises and our amazing fleet of cruise ships. Read about our new itineraries, exciting ship launches, enhanced onboard services and some of the awards we have recently won. GENTING HONG KONG CELEBRATES 25 YEARS OF EXCELLENCE WITH TEN NEW PRESTIGIOUS INTERNATIONAL ACCOLADES FOR CRYSTAL, DREAM CRUISES & STAR CRUISES! STAR CRUISES WINS "MOST UNIQUE PRODUCT AWARD" AT INDIA INTERNATIONAL TRAVEL MART (IITM) 2004. STAR CRUISES SOLD OFF PORT KLANG CRUISE CENTER SDN. BHD. AND GLAMOUROUS TRENDY SDN. BHD. GRAND FLEETWIDE 'FIESTA' CELEBRATION ON THE HIGH SEAS. STAR CRUISES GROUP ANNOUNCES SECOND QUARTER AND FIRST HALF RESULTS FOR 2007. Star Cruises wins "Best Product Promotion International" Award at India International Travel Mart ("IITM") 2007 show. Asia's pioneer cruise line sets the standards on training. Asia’s pioneer cruise company’s new regional deployments. Star Cruises' SuperStar Aquarius officially arrives in Hong Kong - marking a major step forward for the group's development in greater China. STAR CRUISES GROUP ANNOUNCES FIRST QUARTER RESULTS FOR 2007. STAR CRUISES TO HOST MALAYSIAN AND SINGAPORE PRIME MINISTERS ONBOARD MEGASTAR ARIES IN LANGKAWI. Super Pop Group Michael Learns To Rock To Perform Live On SuperStar Aquarius And SuperStar Virgo. STAR CRUISES WINS ‘THE MOST MODERN TRAVEL DESTINATION OF THE YEAR 2006’ AWARD IN READER POLL BY LEADING GUANGDONG DAILY. FLEET ENTERTAINMENT HIGHLIGHTS ONBOARD ASIA’S LEADING CRUISE LINE, APRIL - JUNE 2007. Star Cruises Wins PRC Consumer’s Most Favourable Hong Kong Brands. STAR CRUISES GROUP ANNOUNCES FOURTH QUARTER AND FULL YEAR RESULTS FOR 2006. Rocking Time For All Onboard SuperStar Virgo With The Latest Treadwall Climb, A First For Cruisers In The Region. STAR CRUISES’ PIONEERING EFFORTS IN THE REGION MAKING SINGAPORE WAVES WITH JAPAN’S TRAVEL TRADE AND MEDIA. SUPERSTAR AQUARIUS, THE NEWEST ADDITION TO STAR CRUISES’ ASIAN FLEET TO MAKE HONG KONG DEBUT IN JUNE 2007. STAR CRUISES FLEET FEATURES A FABULOUS NEW YEAR LINE-UP OF ONBOARD PROGRAMMES & ACTIVITIES. Star Cruises announces entry into Macau market Investment enables company to expand leisure & hospitality portfolio, leverage and further drive tourism in Macau. Star Cruises Wins The Best Brands In Leisure & Hospitality In The Brand Laureate – The Grammy Awards For Branding. Star Cruises Wins Two More Awards At IITM Shows In Hyderabad And Pune. An official announcement by Genting International Ltd on the winning of the Sentosa Integrated Resort bid in Singapore by the Genting International - Star Cruises Consortium. Star Cruises Wins Travel Weekly China Industry Awards 2006. STAR CRUISES’ WASA QUEEN IN RESCUE OPERATION. STAR CRUISES WINS THREE AWARDS IN ‘CHINA OUTBOUND TRAVEL AWARDS 2006’ POLL. STAR CRUISES GROUP ANNOUNCES THIRD QUARTER AND FIRST NINE MONTHS RESULTS FOR 2006. HK GAAP RESULTS ANNOUNCEMENT FOR THE THREE MONTHS AND NINE MONTHS ENDED 30 SEPTEMBER 2006. STAR CRUISES TO RAISE US$200 MILLION EQUITY VIA RIGHTS ISSUE. A SPECIAL TREAT FOR CRUISERS THIS NOVEMBER AS STAR CRUISES CELEBRATES 13TH ANNIVERSARY. MEETINGS AT SEA WITH STAR CRUISES PROVIDE AN IDEAL OPTION FOR MEETING AND INCENTIVE PLANNERS. ENTERTAINMENT GALORE AND MAGICAL CRUISE EXPERIENCE ON SUPERSTAR VIRGO. HOMECOMING OF SUPERSTAR LIBRA TO MUMBAI FOR NEW SEASON ON 18 OCTOBER 2006 PROMISES MORE EXCITING CRUISE HOLIDAY OPTIONS. STAR CRUISES IS NINE TIME WINNER OF TTG ASIA’S “BEST CRUISE OPERATOR IN ASIA-PACIFIC” AWARD 2006. DISCOVER THE MAGIC OF THE SEAS AND DREAM CRUISE HOLIDAY ON ASIA’S BEST. SUPERSTAR GEMINI MAKING WAVES IN SOUTHEAST ASIA. EXCITING NEW ONBOARD SUPERSTAR GEMINI FOR HOLIDAY MAKERS AND BUSINESS GROUPS. STAR CRUISES GROUP ANNOUNCES SECOND QUARTER AND FIRST HALF RESULTS FOR 2006. HK GAAP RESULTS FOR THE THREE MONTHS AND SIX MONTHS ENDED 30 JUNE 2006. STAR CRUISES ANNOUNCES FLEET DEPLOYMENT PLANS AND ITINERARY HIGHLIGHTS FOR 2007-2008. HOMECOMING OF SUPERSTAR LIBRA TO MUMBAI FOR NEW SEASON IN OCTOBER 2006 PROMISES MORE EXCITING CRUISE HOLIDAY OPTIONS. Star Cruises Wins “Best Product Promotion International” & “Best Unique Product International” Awards At India International Travel Mart (“IITM”) 2006 Shows. Sensational American Singing Duo “Twice As Nice” To Entertain On SuperStar Gemini. ALERT STAR CRUISES BRIDGE LOOKOUT INITIATES RESCUE EFFORT IN STRAITS OF MALACCA. Maiden call of SuperStar Gemini highlights dual arrival of Star Cruises ships to Kota Kinabalu. A first for Star Cruises in Europe as Asia's Leading Cruise Line begins cruises from Valetta Malta on SuperStar Libra. Star Cruises Showcases SuperStar Libra In Dubai And Bahrain Enroute To Summer Deployment in the Eastern Mediterranean. Star Cruises Group Announces The Christening of Its Newest And Largest U.S.-Flagged Ship. SUPERSTAR AQUARIUS TO JOIN STAR CRUISES ASIAN FLEET IN HONG KONG. WORLD CUP FEVER ON THE HIGH SEAS WITH STAR CRUISES KICKS OFF IN JUNE WITH MATCH TELECASTS AND ONBOARD FESTIVALS. STAR CRUISES GROUP ANNOUNCES FIRST QUARTER RESULTS FOR 2006. HK GAAP RESULTS ANNOUNCEMENT FOR THE THREE MONTHS ENDED 31 MARCH 2006. SuperStar Gemini Makes Maiden Call To Kuching As Part of New Seaason Itineraries For 2006. SUPERSTAR LIBRA ENGAGED IN SEARCH AND RESCUE OPERATION. SAVES 4 PERSONS; ARRIVAL INTO MUMBAI DELAYED 4 HOURS. Star Cruises Group Takes Delivery of Its Newest And Largest U.S. - Flagged Ship. SUPERSTAR VIRGO MAKES MAIDEN CALL TO REDANG ISLAND, MALAYSIA AND SUPERSTAR GEMINI RETURNS TO HO CHI MINH CITY AS PART OF 2006 NEW SEASON ITINERARIES. PIONEER BATCH OF HOSPITALITY STUDENTS GRADUATE UNDER GENTING-STAR INTERNATIONAL CRUISE MANAGEMENT PROGRAMME, SHANGHAI. 100 Million Viewers In China To Enjoy "The Same Song" Mega Concert On Star Pisces Jointly Organised By Star Cruises And CCTV. ADDED COMMUNICATION OPTIONS FOR GUESTS AT SEA WITH NEW GSM MOBILE SERVICES ON SUPERSTAR VIRGO AND STAR PISCES. HK GAAP RESULTS ANNOUNCEMENT FOR THE THREE MONTHS AND THE YEAR ENDED 31 DECEMBER 2005. STAR CRUISES APPOINTS MR. SAROSH KHATIB AS GENERAL MANAGER TO HEAD INDIA OPERATIONS. STAR CRUISES FOUNDER TAN SRI LIM GOH TONG ANNOUNCED AS RECIPIENT OF INAUGURAL AWARD FOR "TRAVEL ENTREPRENEUR OF THE YEAR" ATA TTG TRAVEL AWARDS 2005. STAR CRUISES EXTENDS AMENDED ITINERARIES UNTIL FURTHER NOTICE. STAR CRUISES AMENDS ITINERARIES TEMPORARILY FOR SUPERSTAR VIRGO AND SUPERSTAR GEMINI. STAR CRUISES AND VALUAIR FORM STRATEGIC ALLIANCE. SENIOR APPOINTMENT REFLECTS GROWTH OF NCL'S U.S. CRUISE MARKET IN AUSTRALIA AND NEW ZEALAND. STAR CRUISES GROUP SETS UP CORPORATE NEWBUILDING OFFICE IN LONDON. RESULTS ANNOUNCEMENT FOR THE THREE MONTHS AND NINE MONTHS ENDED 30 SEPT 2004. STAR CRUISES GROUP ANNOUNCES THIRD QUARTER AND FIRST NINE MONTHS RESULTS FOR 2004. ANNOUNCEMENT ON THE INTRODUCTION OF A FUEL SURCHARGE FOR CRUISES IN ASIA-PACIFIC. STAR CRUISES WINS TTG ASIA'S "BEST CRUISE OPERATOR IN ASIA-PACIFIC" AWARD 2004 FOR THE SEVENTH TIME. STAR CRUISES INTENSIFIES MARKETING EFFORTS IN INDIA WITH ROADSHOW IN FOUR KEY CITIES, 6TH TO 11TH OCTOBER 2004. SPECIAL CRUISE CHARTER ON SUPERSTAR GEMINI BY JTB CORP FROM JAPAN TO KOREA AND CHINA, 18TH TO 24TH SEPTEMBER 2004. HK GAAP RESULTS ANNOUNCEMENT FOR THE THREE MONTHS AND SIX MONTHS ENDED 30 JUNE 2004. STAR CRUISES IS FIRST COMPANY TO OPERATE A FULLY FOREIGN OWNED INTERNATIONAL TRAVEL AGENCY IN SHANGHAI, CHINA. STAR CRUISES OPENS THIRD NEW SALES OFFICE IN AHMEDABAD, INDIA. HK GAAP RESULTS ANNOUNCEMENT FOR THE THREE MONTHS ENDED 31 MARCH 2004. SORPRESA! A SPECTACULAR NEW SEASON PRODUCTION SHOW ON SUPERSTAR VIRGO. STAR CRUISES INTRODUCES THE ABACUS GLOBAL DISTRIBUTION SYSTEM IN THE PHILIPPINES. STAR CRUISES SELLS SUPERSTAR ARIES AS FLEET RATIONALISATION PLANS CONTINUE. SUPERSTAR LEO TO ENTER NORWEGIAN CRUISE LINE FLEET. STAR CRUISES SELLS SUPERSTAR CAPRICORN AS PART OF FLEET REJUVENATION PLAN. SUPERSTAR LEO ARRIVES IN FREMANTLE TO BEGIN CRUISE ITINERARIES IN AUSTRALIA 12TH JANUARY-16TH MARCH 2004. REUNION OF THE SUPERSTARS OF ASIA - PHOTO RELEASE. REUNION OF THE SUPERSTARS OF ASIA. SUPERSTAR GEMINI OFFERS NEW ITINERARIES FROM HONG KONG, JANUARY - MARCH 2004. MAIDEN CALL TO BANGKOK BY SUPERSTAR VIRGO 28TH OCTOBER 2003. SUPERSTAR GEMINI OFFERS DESTINATION CRUISES FROM SINGAPORE 25TH OCTOBER TO 31ST DECEMBER 2003. SUPERSTAR ARIES SEASON EXTENDED WITH INTRODUCTION OF NEW DESTINATION CRUISES, EX PORT KLANG, MALAYSIA. SUPERSTAR LEO OFFERS SEASONAL CRUISE ITINERARIES IN AUSTRALIA JANUARY - MARCH 2004. TWO SPECIAL CRUISES TO SHANGHAI ON SUPERSTAR GEMINI, DEPARTING TAIWAN ON 19TH SEPTEMBER AND 3RD OCTOBER 2003. STAR CRUISES CELEBRATES 10 YEARS. LARGE INCENTIVE GROUPS FROM CHINA SAIL ON SUPERSTAR VIRGO AND SUPERSTAR LEO. SUPERSTAR ARIES BECOMES FIRST PASSENGER SHIP IN THE WORLD TO OBTAIN INTERNATIONAL SHIP SECURITY CERTIFICATE UNDER THE ISPS CODE. SUPERSTARS BACK IN ASIAN WATERS. STAR CRUISES GEARS UP FOR HOMECOMING CRUISES. REPOSITIONING CRUISES GO ON SALE. STAR CRUISES COMMENDED FOR GOOD CO-OPERATION WITH AUSTRALIAN QUARANTINE AND INSPECTION SERVICES. SUPERSTAR ARIES SETS SAIL FROM SINGAPORE, WITH NEW ITINERARIES FOR MAY & JUNE 2003. STAR CRUISES TO EXTEND AUSTRALIAN CRUISE PROGRAMME OF SUPERSTAR VIRGO. STAR CRUISES TO DEPLOY SISTER-SHIPS, SUPERSTAR LEO AND SUPERSTAR VIRGO TO AUSTRALIA. COMPANY STATEMENT - TWO OF STAR CRUISES' CREW DISCHARGED FROM HOSPITAL IN MALAYSIA AND SINGAPORE. STAR CRUISES REPOSITIONS SUPERSTAR CAPRICORN TO NORTH-EAST CHINA-KOREA. STAR CRUISES ANNOUNCES SPECIAL SOUTHEAST ASIAN VOYAGES FOR SUPERSTAR VIRGO. STAR CRUISES LAUNCHES SUPERSTAR GEMINI'S NEW CRUISE SEASON FROM SHEKOU (SHENZHEN), CHINA AND HONG KONG. STAR CRUISES CREATES HISTORY IN CHINA WITH THE DUAL ARRIVAL OF SUPERSTAR LEO AND SUPERSTAR ARIES IN SHANGHAI. STAR CRUISES WINS SAFETY AND ENVIRONMENT AWARD AT THE LLOYD'S LIST-SMM 2002 AWARDS IN HAMBURG, GERMANY. SUPERSTAR LEO AND SUPERSTAR ARIES HEAD FOR HISTORIC CALLS AT SHANGHAI. STAR CRUISES WINS TTG ASIA'S "BEST CRUISE OPERATOR IN ASIA-PACIFIC" AWARD FOR A RECORD SIXTH YEAR IN A ROW. SUPERSTAR GEMINI RESUMES YELLOW SEA CRUISES WITH INAUGURAL CEREMONIES IN QINGDAO AND DALIAN AFTER COMPLETION OF DRYDOCK. STAR CRUISES CHAIRMAN, PRESIDENT AND CHIEF EXECUTIVE OFFICER CONFERRED THE "PANGLIMA SETIA MAHKOTA" AWARD BY THE KING OF MALAYSIA. SUPERSTAR LEO TO OFFER SPECIAL 6-DAY/5-NIGHT HONG KONG-SHANGHAI CRUISE. STAR CRUISES ANNOUNCES RE-DEPLOYMENT OF SUPERSTAR GEMINI. STAR CRUISES ANNOUNCES USD80 MILLION SHARE PLACEMENT. STAR CRUISES ANNOUNCES NEW ITINERARY FOR SUPERSTAR GEMINI. STAR CRUISES TERMINAL, LAEM CHABANG OFFICIALLY OPEN. STAR CRUISES SPONSORS AND HOSTS PILOTS FROM THAILAND. STAR CRUISES ANNOUNCES SUPERSTAR CAPRICORN'S SELECT DEPARTURES TO HO CHI MINH CITY, VIETNAM. STAR CRUISES WINS "BEST INNOVATIVE PRODUCT" AT THE OUTBOUND TRAVEL MART IN MUMBAI, INDIA. STAR CRUISES WINS TRAVELWEEKLY EAST GOLDEN WEB AWARDS 2002 FOR BEST WEBSITE. STAR CRUISES TO POSITION SUPERSTAR ARIES IN KEELUNG AND RESUMES CRUISES TO NAHA AND ISHIGAKI. STAR CRUISES SIGNS US$450 MILLION REFINANCING FACILITY AGREEMENT, CONSOLIDATES FINANCIAL STRENGTH FOR FLEET OPTIMISATION. STAR CRUISES GROUP ANNOUNCES EARNINGS FOR YEAR 2001. STAR CRUISES SHIP SIMULATOR HOSTS PILOTS FROM PORT KLANG, MALAYSIA. STAR CRUISES' FOUNDER, TAN SRI LIM GOH TONG RECEIVES DISTINGUISHED CONTRIBUTION AWARD. STAR CRUISES TO INTRODUCE SUPERSTAR CAPRICORN IN THAILAND. 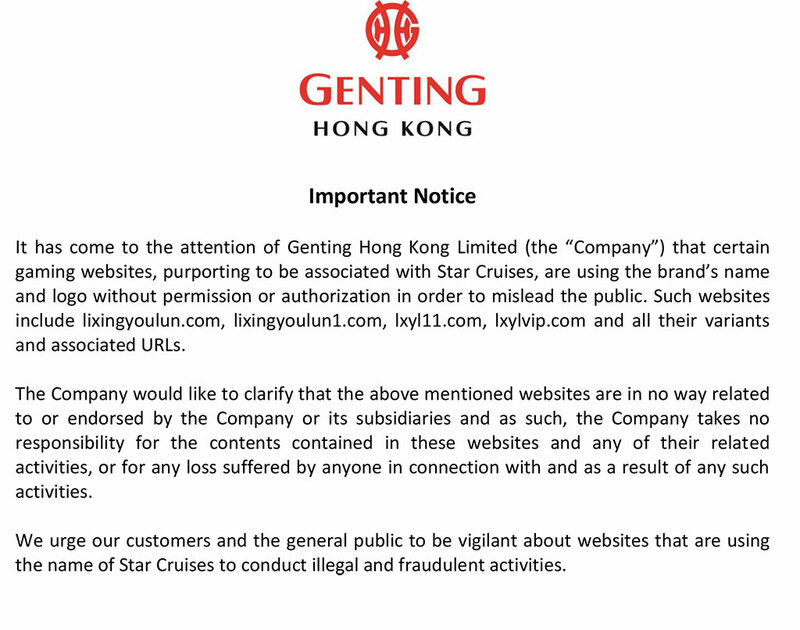 ANNOUNCEMENT TO STOCK EXCHANGES ON MACAU STAR. STAR CRUISES TO DISCONTINUE CRUISE OPERATIONS IN TAIWAN. STAR CRUISES GROUP ANNOUNCES THIRD QUARTER EARNINGS FOR 2001. STAR CRUISES REORGANISES JAPAN OPERATIONS AND REDEPLOYS SUPERSTAR TAURUS TO TAIWAN. STAR CRUISES BAGS 18 MEDALS IN CULINAIRE MALAYSIA 2001. CHEF FROM SUPERSTAR VIRGO WINS "MOST OUTSTANDING ARTIST" AWARD. STAR CRUISES ANNOUNCES NEW CRUISE SEASON FOR ITS ASIA-PACIFIC OPERATIONS AND CHANGES IN FLEET DEPLOYMENT. STAR CRUISES PURCHASES THE WASA QUEEN TO KICKSTART SHORT HAUL PASSENGER-FERRY CRUISE MARKET. 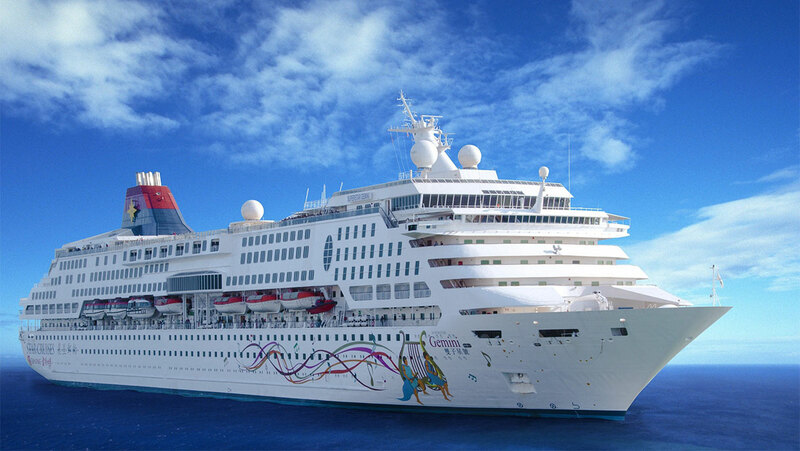 STAR CRUISES' NORWEGIAN CRUISE LINE ("NCL") TAKES DELIVERY OF NORWEGIAN SUN. STAR CRUISES GROUP ANNOUNCES SECOND QUARTER EARNINGS FOR 2001. STAR CRUISES WINS TRAVELWEEKLY EAST INNOVATORS AWARD 2001. STAR CRUISES ANNOUNCES NEW APPOINTMENTS AT STAR CRUISES SHIP SIMULATOR ("SCSS"). STAR CRUISES APPOINTS SALES MANAGER FOR NEW ZEALAND. STAR CRUISES SHIP SIMULATOR: RENEWS AGREEMENT WITH DANISH MARITIME INSTITUTE HOSTS AUSTRALIAN PILOTS FOR COMPETENCY AUDIT. STAR CRUISES ANNOUNCES FIRST QUARTER EARNINGS FOR 2001. STAR CRUISES WINS TRAVELWEEKLY EAST READER'S CHOICE AWARD AND AIMS TO EXPAND CRUISE MICE MARKET. STAR CRUISES WINS "BEST CRUISE OPERATOR IN ASIA-PACIFIC" AWARD FOR FIFTH CONSECUTIVE YEAR. STAR CRUISES ANNOUNCES FLEET DEPLOYMENT PLANS FOR SUPERSTAR LIBRA AND SUPERSTAR ARIES. STAR CRUISES ANNOUNCES EARNINGS FOR 2000. STAR CRUISES SELLS OLDER TONNAGE AS PART OF FLEET MODERNISATION PLANS. STAR CRUISES ANNOUNCES SUPERSTAR TAURUS' NEW ITINERARIES AND REORGANISES OPERATIONS IN JAPAN. STAR CRUISES WINS TRAVEL MANAGEMENT GRAND PRIX "INTERNATIONAL CARRIER" AWARD, JAPAN. STAR CRUISES ANNOUNCES DEPLOYMENT PLANS FOR STAR AQUARIUS, SUPERSTAR ARIES AND NORWEGIAN STAR. STAR CRUISES WINS FRIENDS OF THAILAND "INTERNATIONAL TOUR OPERATOR" AWARD AT THE THAILAND TOURISM AWARDS 2000. 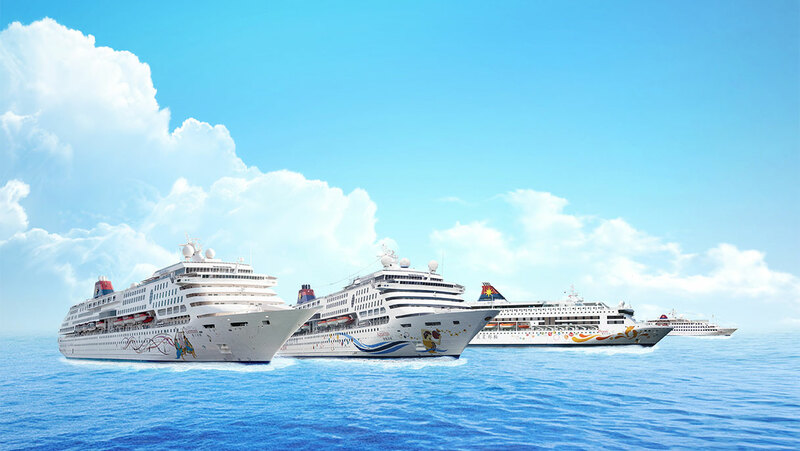 STAR CRUISES ANNOUNCES SHIP DEPLOYMENT PLANS OF STAR CRUISES AND NORWEGIAN CRUISE LINE FLEETS. STAR CRUISES REPOSITIONS MEGASTAR CAPRICORN TO PORT KLANG, MALAYSIA. STAR CRUISES TO POSITION MEGASTAR CAPRICORN IN DUBAI, UNITED ARAB EMIRATES. CRUISE INTO THE NEW MILLENNIUM WITH SUPERSTAR GEMINI AND SUPERSTAR ARIES. STAR CRUISES PURCHASES 39.3% OF NCL. STAR CRUISES BIDS FOR NCL. SUPERSTAR GEMINI -- DRY DOCKED FOR A "NEW" AND MORE LUXURIOUS AND EXCITING CRUISE EXPERIENCE. STAR CRUISES ANNOUNCES FLEET SCHEDULE UP TO SEPTEMBER 2001 AND RENAMES "SUPERSTAR EUROPE" AS "SUPERSTAR ARIES". STAR CRUISES CHARTERS NEW SHIP - "SUPERSTAR TAURUS" FOR JAPAN AND KOREA CRUISES. SUPERSTAR LEO ARRIVES IN HONG KONG! STAR CRUISES ANNOUNCES SUCCESSFUL INDIAN OCEAN MAIDEN VOYAGE AND ROADSHOW IN INDIA. SUPERSTAR VIRGO IMPRESSES AT ALEXANDRIA SHOWCASE. STAR CRUISES SINGAPORE MOVES TO NEW AND LARGER OFFICES. STAR CRUISES ANNOUNCES MAIDEN CRUISE OF SUPERSTAR VIRGO FROM MUMBAI TO SINGAPORE. STAR CRUISES AND WHARF HOLDINGS SIGN TEN-YEAR FACILITY AGREEMENT. POSITIONING OF SUPERSTAR LEO, ASIA PACIFIC'S LARGEST CRUISE SHIP IN HONG KONG. STAR CRUISES OPENS WORLD-CLASS SHIP SIMULATOR IN MALAYSIA. STAR CRUISES REPORTS IMPROVED EARNINGS. SUPERSTAR LEO UNDERGOES SEA TRIALS. SUPERSTAR LEO BEGINS FIRST LEG OF HER EPIC VOYAGE TO ASIA. STAR CRUISES ANNOUNCES FLEET DEPLOYMENT. STAR CRUISES WINS "BEST CRUISE OPERATOR" AWARD AGAIN AT 1998 PATA TRAVEL AWARDS. Want to know more about our fleet? 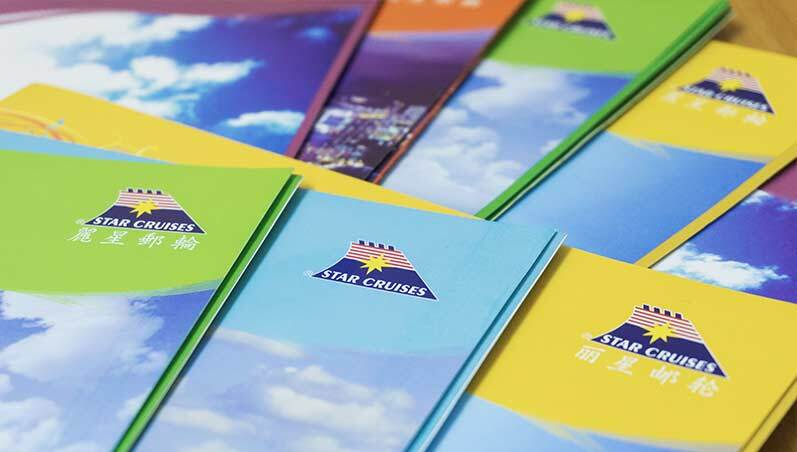 Our online brochures contain a wealth of detail about every ship in the Star Cruises fleet, with descriptions of cabin types, restaurants and bars, theatres and a full list of sporting facilities. Our fleet voyages to many exciting destinations across Asiad. Use this section to find your perfect itinerary and set sail on the holiday of a lifetime. The Star Cruises Photo Gallery is open to anyone who would like an image of one of our ships. Travel professionals can log into our Resources Centre for high-resolution images of ships, facilities and destinations. This service is reserved for our Travel Trade Partners, such as marketing agencies and magazine/website publishers, and includes digital resources including high-resolution images. Please complete this online registration form. 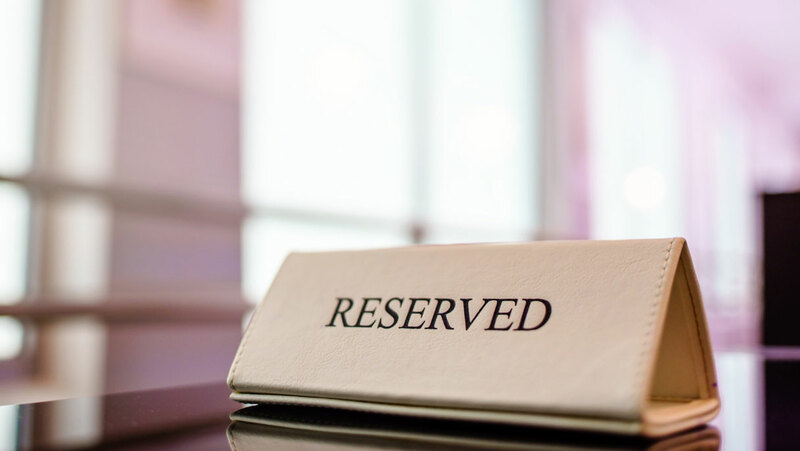 Once approved, you will be issued with log-on. 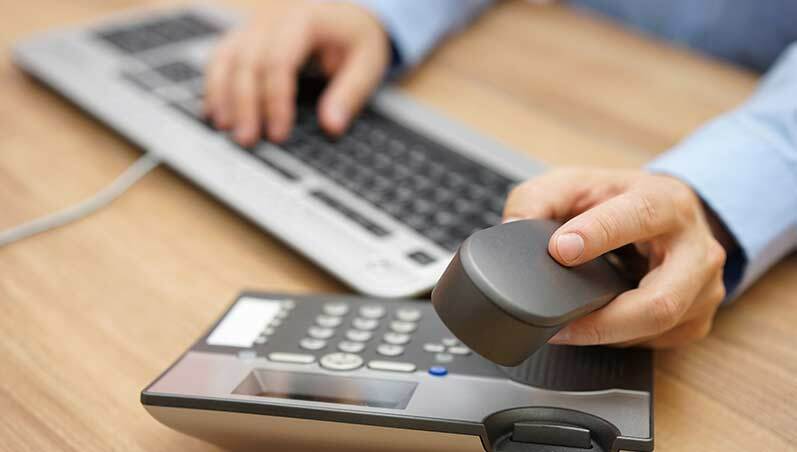 Travel agents can simply log in with your password and access the service as normal.